The effects of Britain leaving the EU will have both positive and negative consequences across a wide range of industries. One of the most immediate changes though is the drop in value of the pound. This means that if you’re heading from the UK to the EU, your money won’t go as far. But it also means the opposite – if you’re coming into the UK you can get great value for your euros. This means that top quality services can be available at an affordable rate - including cosmetic surgery. At Cosmetic Surgery Partners, we’ve experienced a boost in enquiries from our European clients, both male and female in recent months. With the currency hit, the cosmetic surgery business is booming when it comes to international business. This is because favourable exchange rates have made our services more affordable to our international client base. London, and especially the Harley Street District (the home of our practice) is famous the world over for its talented cosmetic surgeons and clinics. So, our EU clients are able to experience a world-class cosmetic surgery service, without paying the premium price associated with Harley Street cosmetic surgery. For an example of the savings that can be made - the value of the pound has dropped up to 20% in the past weeks. Back in May, your euro would be worth £0.75, while at the start of October that euro would be worth £0.90. To put that into real terms, the cost of a £6,000 Rhinoplasty has changed from 8000 euros to closer to 6600 euros. Even after incorporating the cost of flights, this can make the UK a more attractive and cheaper destination for your cosmetic surgery. Of course, cost shouldn’t be the only consideration when it comes to making a decision on your surgery. Often those shopping for cosmetic surgery options in Europe will head to lower cost destinations when price is the main concern, however there’s a compromise on quality. This is something that we’ve seen first-hand ourselves, as we’ve had patients coming to our clinic requiring revision surgery – which you can read about here. We understand that excellent service is equally as important as getting a good price. At Cosmetic Surgery Partners, we support the Cosmetic Surgeon code of conduct and the guidelines issued by the General Medical Council (GMC) and more recently by the Royal College of Surgeons (RCS) , something that can be seen in our client testimonials. This guarantee isn’t always found in surgeries in certain European locations. The team at Cosmetic Surgery Partners offer a wealth of experience in a wide range of surgical and aesthetic treatments. Based out of the world-famous Harley Street district, we offer the very latest industry leading techniques and procedures, coupled with an unrivalled knowledge of a vast range of surgical procedures. All our consultant cosmetic surgeons have had extensive training and feature on the GMC specialist register, as well as all having been consultants for the NHS. Beyond their experience in the industry, their expert opinion is regularly featured in the media, appearing in both written press and television, including shows like Botched Up Bodies and Make Me Perfect. Our surgeons include Mr. Nick Percival FRCS, who is considered one of the foremost cosmetic surgeons in the UK and a pioneer and international expert in the field of facial rejuvenation. They also include Mr. Miles Berry MS FRCS who has been a consultant in Paris and has twice been awarded the BAPRAS (British Association of Plastic, Reconstructive and Aesthetic Surgeons) Aesthetic Prize. 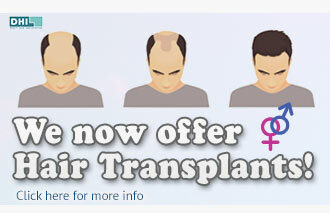 Interested in Cosmetic Surgery in the UK? If you’re an EU resident who is interested in cosmetic surgery at Cosmetic Surgery Partners, we offer a virtual video consultation. Using a direct Skype link to one of our cosmetic surgeons, you’re able to get a clear idea of how we can help you achieve your end goal. The convenient and confidential consultation process allows you to make an appointment at a time that suits you. These virtual consultations give you the opportunity to ask questions and express any concerns you may have. As your session is with your cosmetic surgeon, you’ll be able to receive answers directly from them and learn more about the consultation process before you commit to anything. We understand that any kind of surgery is a huge step, and the consultation process is your opportunity to really explore your options, and ensure that your surgeon is able to meet your expectations prior to travelling to the UK. Our care for international clients doesn’t just include a virtual consultation. Our patient coordinators understand the importance of your surgery not only delivering you the results you want, but also providing a smooth and seamless process. We offer a state of the art hospital, a private service and a VIP concierge for our international clients. From helping with bookings to other concierge services, this ensures that your full surgery including pre- and post-operation is as positive and stress-free as possible. To read more about how we’re able to help international clients with their cosmetic needs, read here. At Cosmetic Surgery Partners, we offer a full range of services to both men and women. 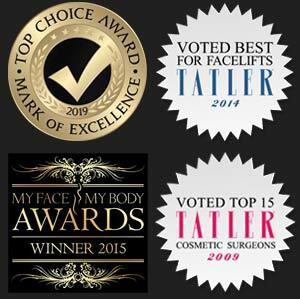 As one of the UK’s leading cosmetic surgery clinics, our specialities range from breast and body surgeries through to facial treatments such as wrinkle reduction. Our approach doesn’t just include delivering natural looking solutions to our clients, it also includes delivering a comprehensive aftercare service. Our team ensure the most comfortable recovery possible by providing the best medication as advised by your consultant and giving you access to a 24-hour hotline for all your needs. If you’re based in the EU, Harley Street’s Cosmetic Surgery Partners doesn’t just provide you with a cost effective method to a happier, more confident you – it provides you with the utmost professionalism and quality to ensures you receive the service you deserve. If you’re ready to begin your journey, call today or send a message to arrange your booking.